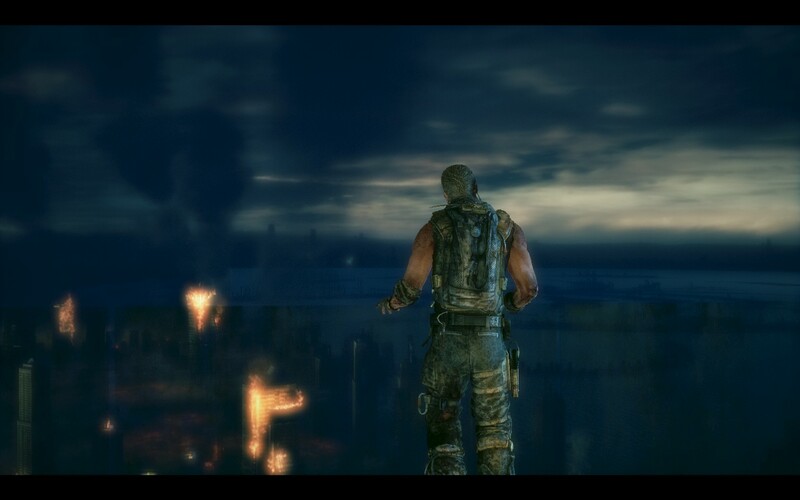 Spec Ops: The Line: I Never Thought I Had a Choice. I always get a little worried when I see a new instalment in a games series that has been on hiatus for a long time. Probably the best (or worst?) example of this is Duke Nukem Forever which after spending an eternity in what appeared to be an on again, off again development cycle it launched to much fanfare without a whole lot of substance behind it. 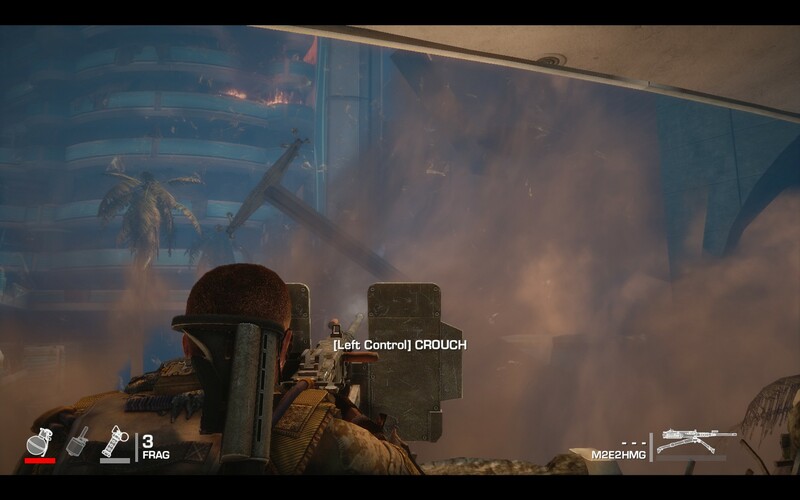 Spec Ops: The Line, whilst not being in development for the entire time since the last release, comes as the first Spec Ops game to be released in 10 years and so I was weary when I dived into it. However the game touted itself as one that would push you to your limits and force you to make tough decisions, something which is rare to find in games outside RPGs. 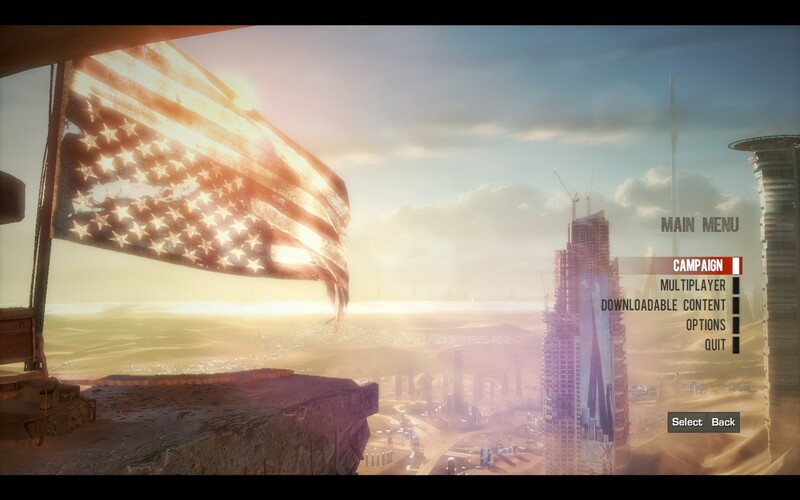 Spec Ops: The Line takes place in an alternate reality world where Dubai has been slugged by a series of sandstorms, devastating the city and smothering the surrounding area making escape and communications next to impossible. You play as Captain Walker, a Delta Operatives agent (voiced by none other than Nolan North, the of Nathan Drake in Uncharted fame) who has been sent to investigate a distress call from the 33rd Battalion who were sent to Dubai to aid with the evacuation. Upon arriving however the situation appears to have deteriorated significantly and Walker takes it upon himself to see the evacuation completed. 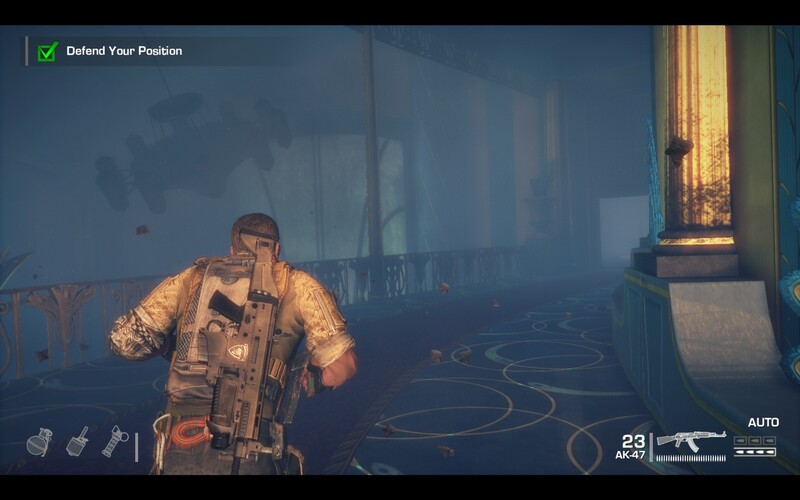 Whilst Spec Ops: The Line might not have been in development for very long it still seems to suffer some of the same problems that long-in-development titles do. 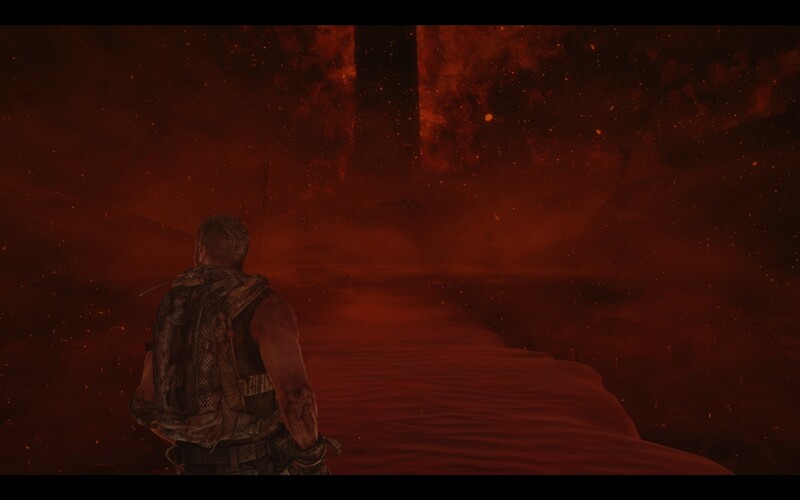 The graphics, for instance, aren’t particularly great when compared to other modern titles and this becomes especially clear in the pre-rendered scenes that are done in engine. The developers (there are 3 in total) could have done much worse however but overall there’s nothing that impressed me visually. You could argue that this was due to their choice of colour palette and location but I’ve seen that done well in other titles previously. The core of Spec Ops: The Line is your run of the mill third person shooter. You get your standard 2 weapons that you can carry with you, an assortment of grenades to clear out small areas and every so often you’ll be handed the reigns of a turret or other unlimited ammunition weapon with which to dispatch hordes of enemies who throw themselves at you relentlessly. The health system is also your standard cover based regeneration model, allowing you to take unlimited hits so long as you take enough time to recover from each one. Overall there’s really nothing to distinguish it from other third person shooters of the day, save for the modicum of issues that will plague your experience. For starters there’s the scoped weapons which in most games would make you far more accurate and they do to some extent in Spec Ops. However they don’t function the same way as you’d expect as upon zooming in you’ll find yourself staring at a part of the screen that you weren’t aiming at previously. Now this might just sound like me not getting the mechanics of it right but I’ve played my fair share of games like this and not once have I encountered zoomed scopes behaving like this. Whilst it sounds like a minor issue it did make several sections (read: anything with a sniper rifle) damn near unplayable as by the time I had righted the scope I had been used as target practice by every NPC that was on the field. Suffice to say then that I ditched the sniper rifle for good early on in the piece, sticking to 2 assault rifles instead. The checkpoint system also seems to be somewhat unrefined. There are several long sections that appear to be quite well cut up into what you’d assume where check pointed areas. However it’s not consistent with some sections being well checkpointed and others seeming to ignore the game design completely, placing checkpoints only after extremely lengthy sections. It becomes rather irritating to have to repeat sections you can easily beat only to have to replay them again when some gotcha mechanic or little mistake gets you killed and was probably the sole reason why I found it rather easy to put this game down despite its relatively short length. There’s also the inclusion of sections that are either entirely luck based or have 1 shot mechanics that aren’t completely obvious. One section that sticks in my mind is where you’re fighting off enemies only to be blasted from the side by an attack helicopter. The instructions are simply “RUN!” which I did only to find myself mowed down before I could get to the safe point. There’s no trick to it, as I found out on several attempts that followed, you just have to run in a straight line and hope that the spray of bullets misses you enough so you can make it through. There’s nothing wrong with making a section challenging, but something like that which is entirely based on luck doesn’t really add any challenge or enjoyment to the title. Then there are the straight up glitches which will break the game completely, forcing you to reload at your last checkpoint, which could be a long way behind you. Shown above was one section where the next level section simply failed to load (that’s supposed to be a hallway, not a blue expanse of nothing) forcing me to reload. There was also another section where one of the heavy enemies just wouldn’t go down no matter how much ammunition I pumped into him. This meant I actually ran out of ammo completely which, I figured, wasn’t a problem since I should be able to melee him down. Nope, no go and so I was forced yet again to reload the section in order to progress. Despite all this the game play is enjoyable for the most part, especially when you breeze through a section without so much as a second thought. If these issues were fixed it would rank up there as one of the more polished third person shooters out there, however when compared to other recent release like Max Payne 3 it’s hard not to focus on the faults rather than the things that Spec Ops does right. I guess what I’m getting at is that after 3 or so years in development I’d expect a heck of a lot more polish from a game like this and, unfortunately, it just isn’t there. As long time readers will know I can forgive all sorts of grievous game play faults should the story be strong enough to carry it through. With Spec Ops: The Line touted as being a game that had you making tough choices I figured that there would be a heavy emphasis on the story and indeed there was a lot of development in the main characters and protagonists of the game. However the eventual twist and the ultimate conclusion left me feeling somewhat cheated and upon reflecting on it I can’t say that I’m satisfied with the explanation it offers. SPOILER WARNING: Major plot spoilers below. The problem is, as I see it, that the whole Fight Club-esque ending (it was you all along!) only really works if there’s no real indication that what you’re seeing isn’t the true reality. 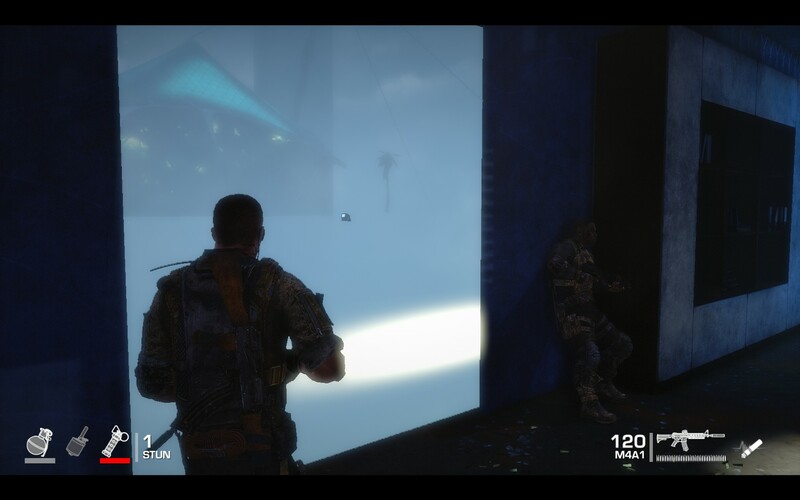 Throughout Spec Ops: The Line though you’re constantly thrown imagery that indicates that the world isn’t how you’re seeing it and this of course makes you doubt every single thing in the game. The final reveal then isn’t unexpected and unfortunately opens up a few gaping holes in the story that can’t be adequately explained based solely on the events in the game. They should be commended for attempting such an intricate story in a platform that doesn’t traditionally come with one but I feel it fell short of its lofty goal. They did get the idea of choice right however as instead of putting up glaring buttons saying “PRESS X TO DO THE RIGHT THING” they instead make the choices based on your action, or lack thereof. Indeed most of the time you might not be aware that a certain choice was available to you, like in the area where you’re surrounded by civilians who will almost 1 shot you if you try to push past them, and end up making a decision you might not agree with because you didn’t think about it clearly in the heat of the moment. Whilst the ending is still a little like the endotron 3000 in Deus Ex in that you can get all 4 endings without having to replay the game and make different choices it at least retains that soft choices system. Reading back over this review you’d be forgiven for thinking that I didn’t really like much about Spec Ops: The Line as I’ve spent the vast majority of this review listing its faults rather than its achievements. For the most part it was enjoyable although there were several times when I found myself getting frustrated with the mechanics. The story was incredibly ambitious and the soft choice system is by far my favourite aspect of this game. Sadly both these positives are marred by technical issues that only serve to distract from the core of the game. Hopefully the developers of Spec Ops: The Line recognise these faults and continue to develop the series as I believe they have an incredible amount of potential in this series and it deserves to be explored further. Spec Ops: The Line is available on Xbox360, PlayStation 3 and PC right now for $78, $78 and $28 respectively. Game was played entirely on PC on the Suicide Mission difficulty with around 6 hours of total play time and 58% of the achievements unlocked.